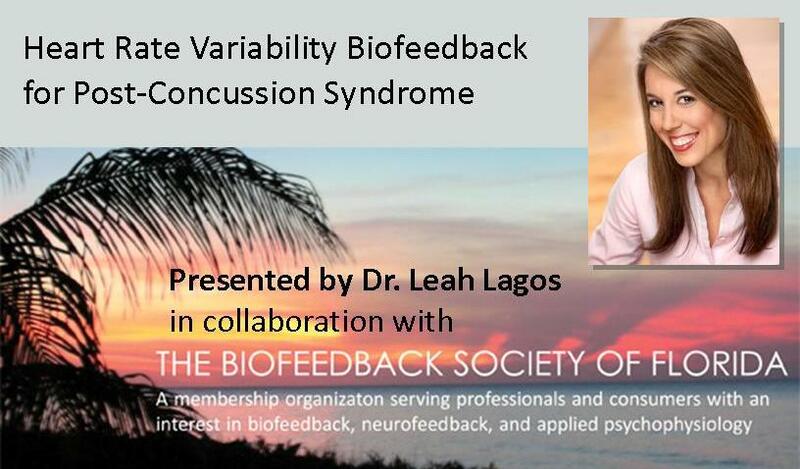 Originally presented at the Biofeedback Society of Florida 2016 conference, this one-day workshop recording is for health professionals and researchers who want to learn a theoretical rationale and clinical protocol for implementing Heart Rate Variability (HRV) Biofeedback (BFB) as a treatment for Post-Concussion Syndrome (PCS) focusing on elite performers. The hands on, guided tutorial, will teach clinically useful skills for restoring autonomic imbalance, reducing PCS symptoms, and engaging the body’s natural healing processes for recovery from concussion. Case examples, based on over a decade of Dr. Lagos’ clinical and research experiences, are included. Specialized issues such as treating patients who present with co-morbid symptoms of post-traumatic stress disorder and PCS are addressed. This recording is divided into four 1-hour segments. Upon purchase you will receive instructions to view or download/save the video. In order to receive your continuing education credits, you must complete an exam with a pass rate of 75%. Exam questions are based on the video recordings and the PowerPoint presentation.